I have really loved making this hat. It is so different than any hat I have ever made. I am fascinated by the simplicity of it. The subtle details of the hearts and the shape. 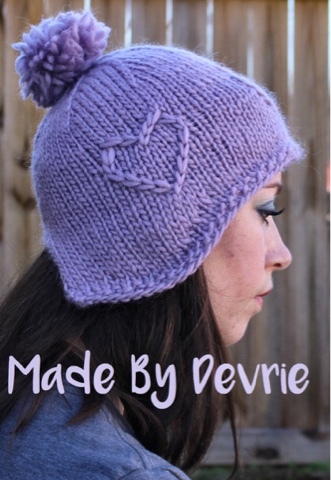 It is perfect for beginners and the chunky yarn make it knit quick. I used roving wool and I love it!!! I have never used it before but I think it has quickly become my favorite fiber. It makes perfect puff balls. Get your pattern at my Etsy or Craftsy stores and make yourself one.